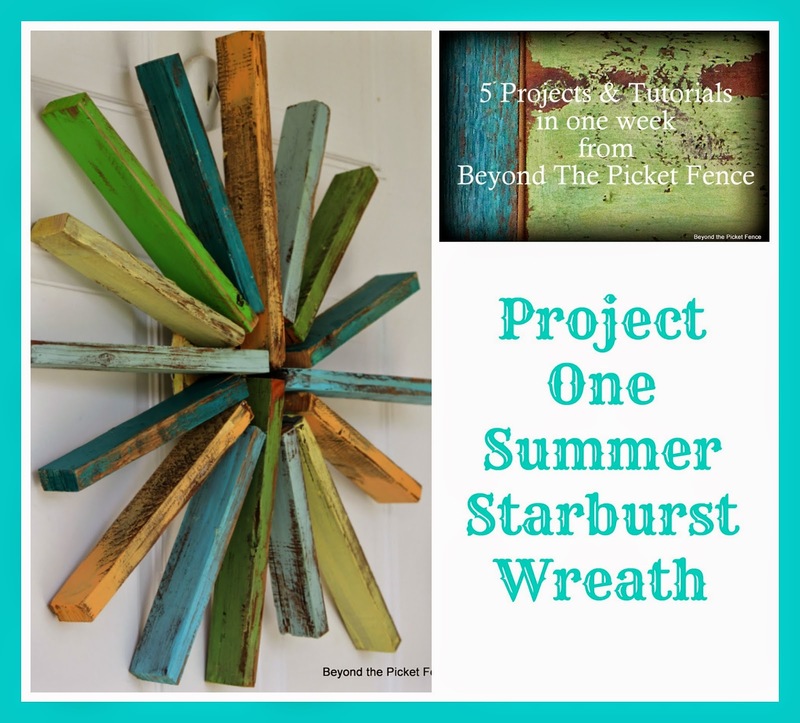 So remember that time I shared some summer art ideas to inspire you? If you are like me and my old brain, you might have a vague recollection (or not), it might ring a bell, or might just think you are experiencing deja vu. Anyway, I did share lots of summer "art" ideas a few days ago in hopes of inspiring you and I hope I did just that. But guess what? I inspired myself too and as a result I created this bright and cheery scrap wood art. BTW--I added some fill light to these photos, but I did NOT boost or change saturation--this piece is ACTAULLY THIS vibrant :). Thanks for your patience last week with my switching the link party so I could get through my 5 projects. Tonight I am featuring links from the link up two weeks ago and from Saturday's party. But first, let me announce the winner of the $25 Target gift card. Drumroll please...Audra Renewed Projects ( I have a feeling that is not er eeal last name ;) ). Audra please email me at beckyatbeyondthepicketfence@gmail.com. **Hey you, yes you, did you know you can win a $25 Target gift card from me. It is easy--just follow me either here, on Facebook, or on Pinterest (or all three for 3 entries) and leave me a comment HERE letting me know. A winner will be drawn on Wednesday!! As I enjoyed my first mojito of the season on the front porch this past weekend, I declared summer is here. Now, let me tell you, this is early for us northerners and a bit of a surprise. Memorial Day weekend is typically rainy with snow flurries--this weekend we turned the AC on. And while I enjoy all of the seasons, I am thrilled and ready summer is upon us. I hope you are happily anticipating and enjoying summer as well. 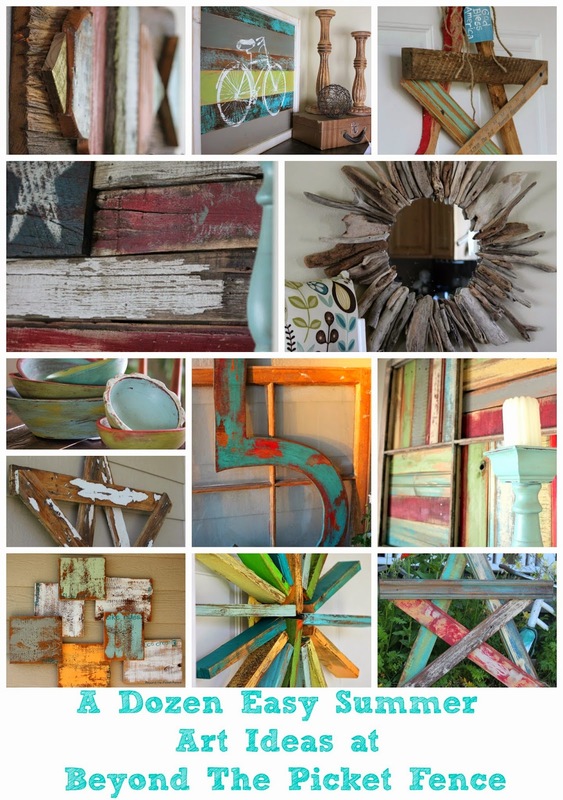 I thought I would share a few past summer inspired ideas for your walls. 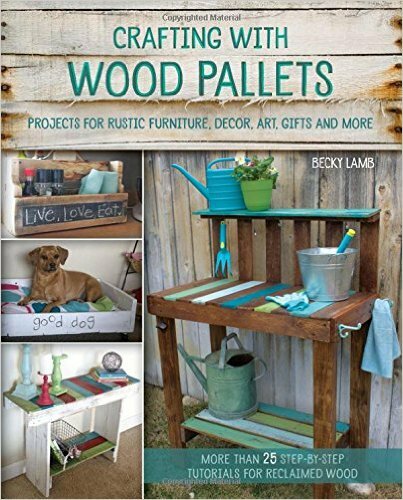 These are all easy ideas that can be used in your home, on your front door or porch. Let me know if you try one--I love hearing you were inspired! Today we are grateful for all those we have served and sacrificed for our country. This is my dad, he was in the navy during the Korean war. 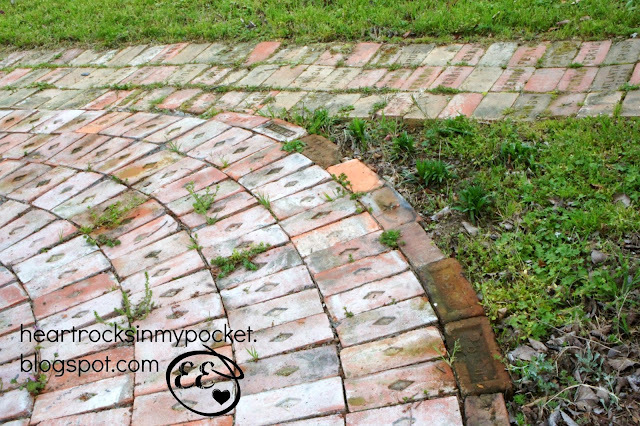 What can you do in a week with some reclaimed materials and very little money? 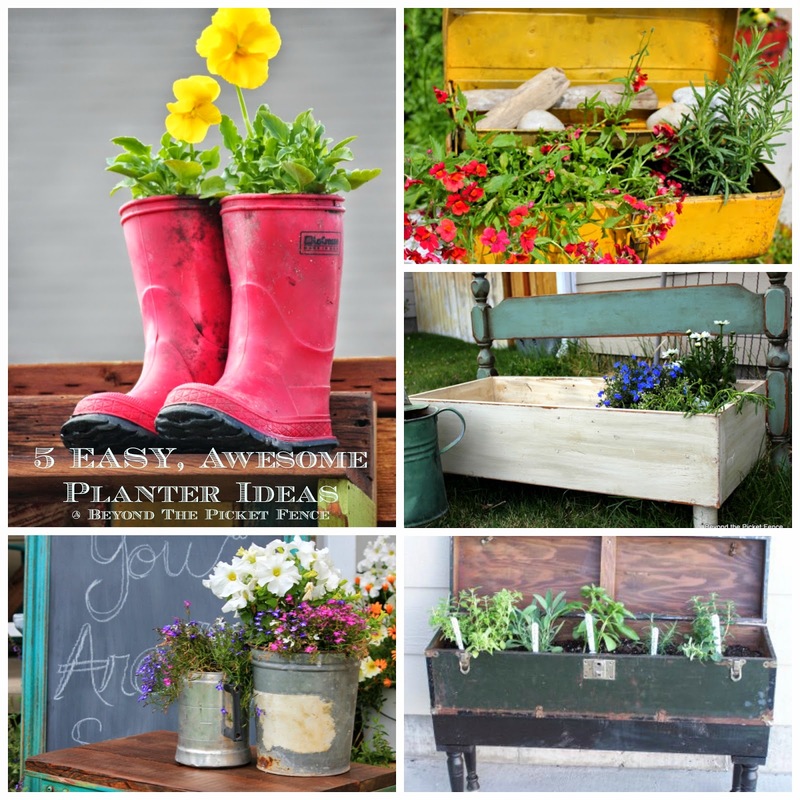 Remake your porch or outdoor space. 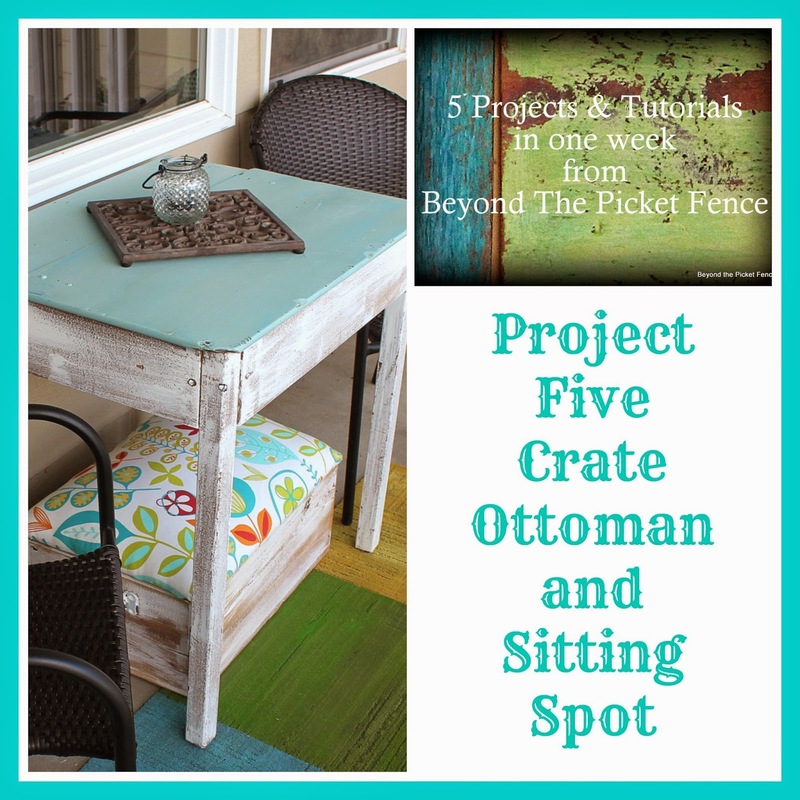 Here is a round-up of 5 projects I created this past week for my porch. 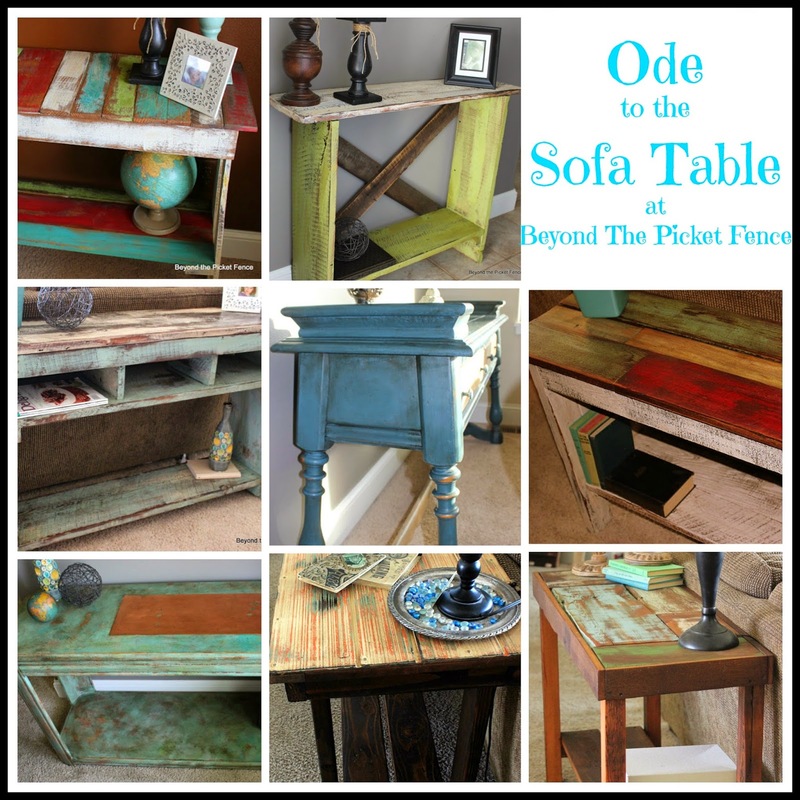 I am linking up at Funky Junk Interiors!! Now I want to see what you have been up to. Link up a recent (within the last 3 months please!!) project, something for your home, something you love that you have created! Happy project 5 is done day! Although I have had fun this week and thrilled that the cobbler's kids have shoes (i.e., I actually made some things for myself and my family), it has been a busy week, with today being really crazy. I visited a friend and her 5 year old who is in the hospital, visited with a dear friend who now lives in Texas, but was in town, did graduation shopping, built a bench to sell...that is why this post is late, thanks for your patience (not that you all are waiting with baited breath for my little post)! I am running a little behind here with Project 4, but I hope it is worth the wait because it is my favorite so far. If you are just tuning in, please check out project ONE HERE, TWO HERE, and THREE HERE! 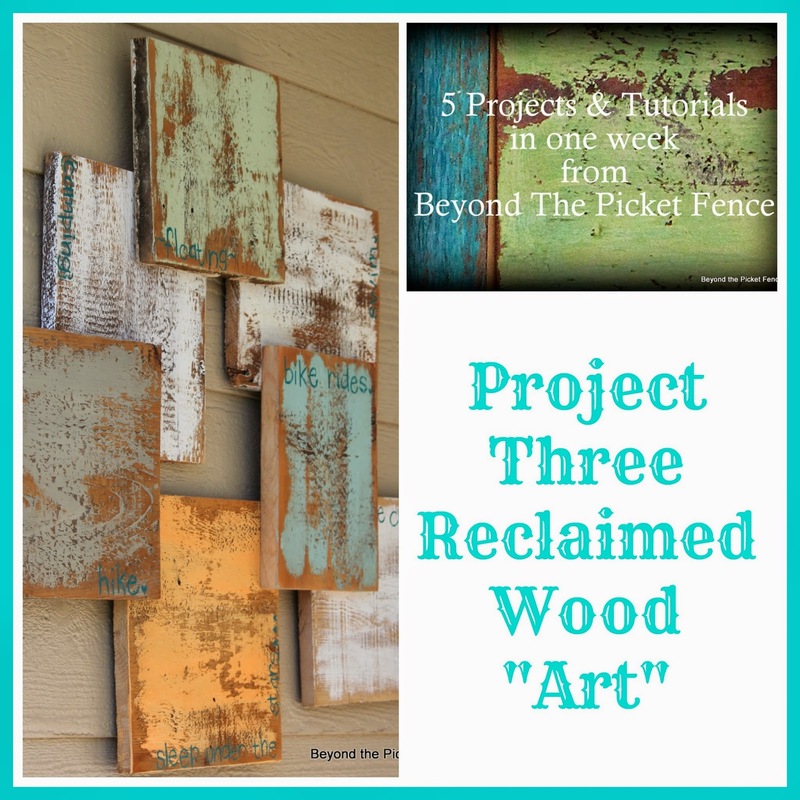 5 Projects in a Week, Project 3, Reclaimed Wood "Art"
Ok, so the porch theme continues for my 5 projects in a week series. 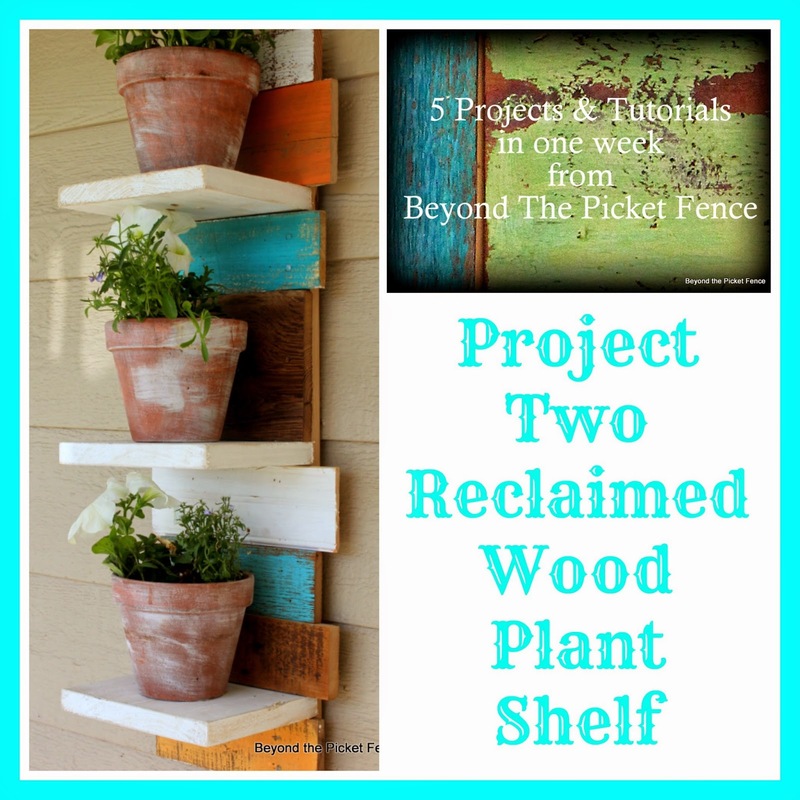 If you missed my first two porch projects, see them HERE and HERE. 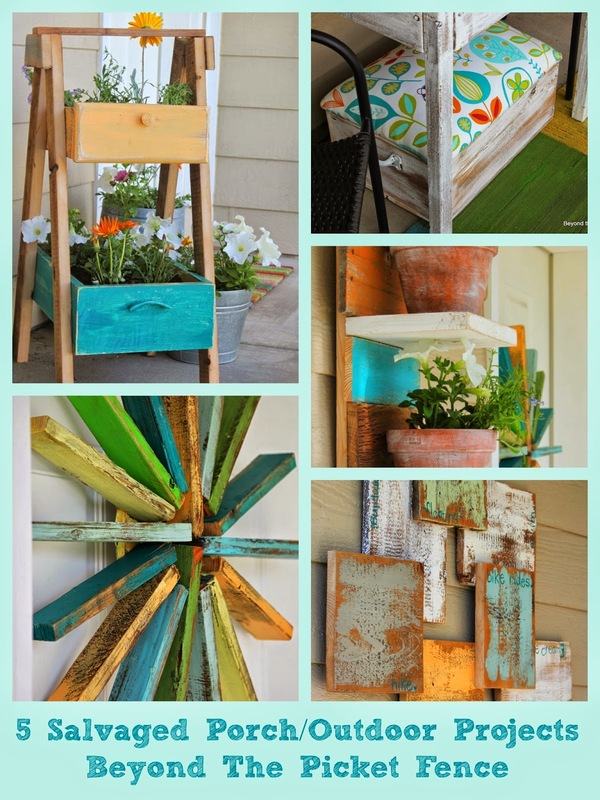 Today's project fits another need--adding some color to fill a blank wall on the porch. If you saw my post Friday, you might have noticed I decided to bring back a little challenge or event that I have done in year's past: creating 5 new projects in one week--to inspire you, to challenge me, to have a little fun! If you saw my post Friday, you might have noticed I decided to bring back a little challenge or event that I have done in year's past: creating 5 new projects in one week. Happy Weekend! I am in need of a good weekend--time to work, time to rest, time with the family. Originally I had hoped we would hit the open road and take off in the camper for quieter pastures--maybe Yellowstone or just a favorite camping spot 30 miles from home. But, rain is predicted for most of the weekend, and dear daughter has a volleyball function Sunday afternoon, and hubby is working a track meet tonight. Oh well, a weekend at home is good too and I will make sure we at least have a backyard fire to roast marshmallows (because let's face it, roasted marshmallows are definitely one of the best parts of camping!). I started the work part early today, painting and creating a "crate table" in the sunshine before a good downpour occured (and occur it did). 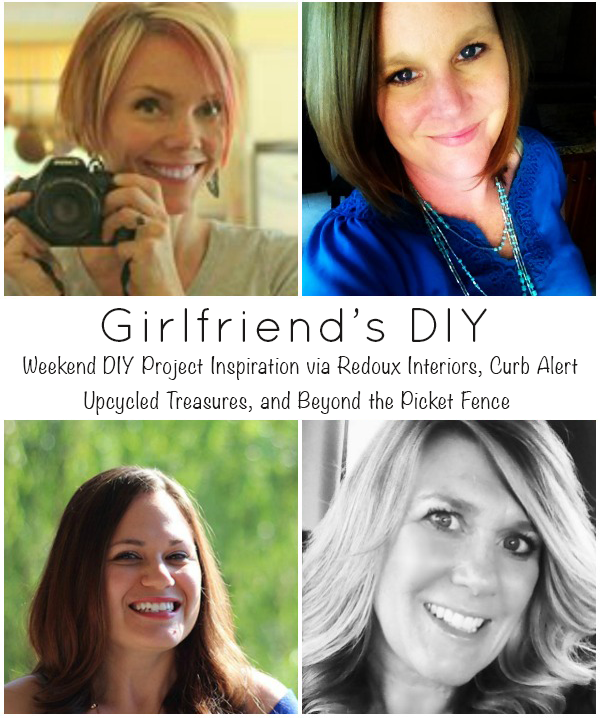 Welcome to Weekend DIY Inspiration, Girlfriend's DIY week 7! 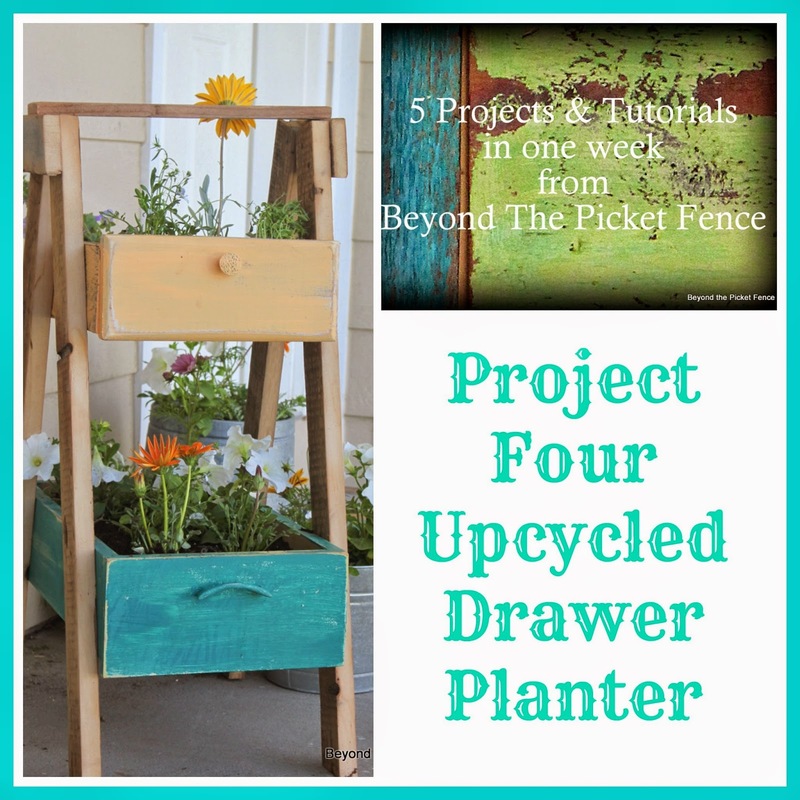 Here you get four fabulous DIY projects from my Upcycling friends, and plenty of inspiration for the weekend. Check out what we have in store for you this week! "How do I get featured?" someone asked. While there are no hard and fast rules, firstly I look for links that catch my eye. And what catches my eye? 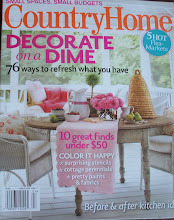 Home stuff--furniture redos and things you have built, decor, and clever repurposing--the things I like to show you. I like fresh ideas! I also look to see if you have linked by to my blog. I love to feature blogs that might not normally get featured or that are newer. I wish I could feature everyone, I do appreciate your links and love checking them out--thank you!! 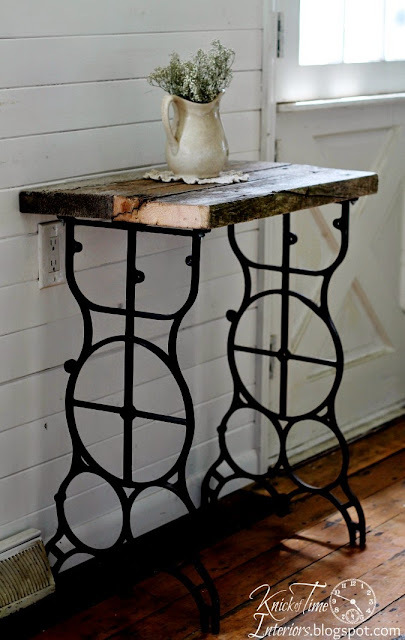 Want this sofa table turned bench from Reduce, Reuse, Renewed. Sometimes, well most of the time it truly is the little things, the little victories that bring joy. Last night it was a hike. I hope you all had a nice Mother's Day. It was a rainy, snowy, dreary weekend here. We usually take a Mother's Day hike, but this year we watched movies and ate popcorn. And all I have to say is thank goodness for girls. My husband is a wonderful, hard working man. But, he does not do holidays or special days well. Gifts are not his love language. My sons follow in dad's footsteps. My sweet, thoughtful daughter said to him on Saturday, "Dad, we are going shopping for mom today!" So off they went for a few hours and I received some lovely gifts (jewelry, a little outdoor table I needed) that the hubster never would have chosen without her help. And while gifts are not high on my love language scale either, it is nice to be remembered and appreciated. I also did a little creating on Mother's Day while the family cooked a delicious meal. I continued with the same scrappy theme as THIS sofa table and THIS side table, making a coat hook this time. I used pretty much the same technique as I did for the tables, except the edging is not flush with it so that it forms a bit of a frame. Happy Mother's Day--praying all the women out there have a chance today to get some rest and renewal! You deserve it! I know, I know. Most of you have your pots all planted and are enjoying gorgeous color on your porches and patios. But, here in the arctic, ahem Montana, Mother's Day weekend is the earliest I plant. And while I think I will be buying my plants today, they will not be out in planters until later in the week as we have a few below freezing temps in the forecast this week. I usually keep my annuals fairly simple--lobelia, pansies, petunias and herbs. I am not a fan of the spikey things people like to put in annual pots, I don't know why. Maybe they remind me of a punk rock hair do (not that I don't like some punk rock, just not in my planters). I am also not a big geranium fan because when the blooms fall off it takes some time for them to rebloom. I like flowers that are kind of messy, not too neat looking and that have a cottage feel, whatever that means. One of the fun parts for me is deciding what to plant my flowers in. Here are some fun ideas from summers past. All are EASY, thrift store or garage sale finds--some used as is and some with a little transformation. Remember to add some kind of drainage--drill holes in the bottom of the container or add pebbles. If using a metal container, I usually spray a couple coats of a good clear spray to prevent further rusting. 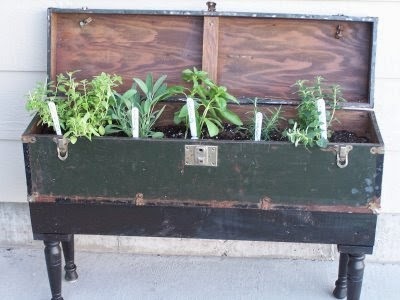 I built an easy base for this tool box and planted herbs in it, complete with silverware plant markers. 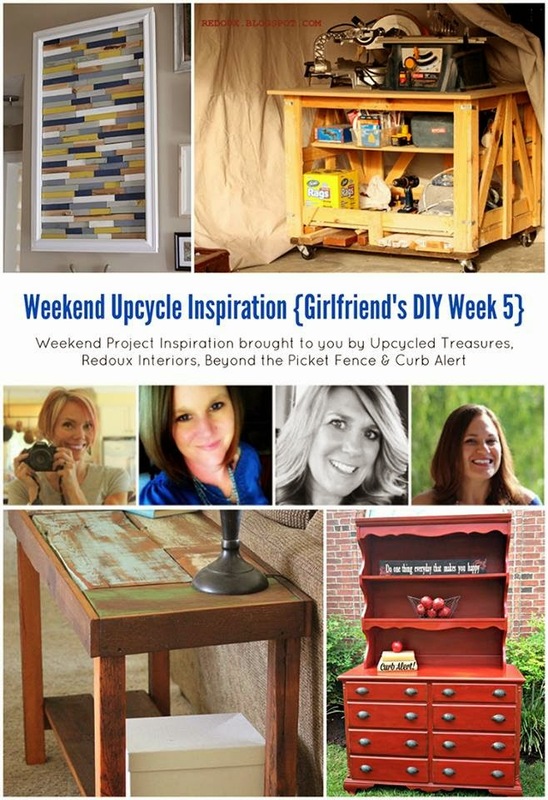 Welcome to Weekend DIY Inspiration, Girlfriend's DIY week 6! 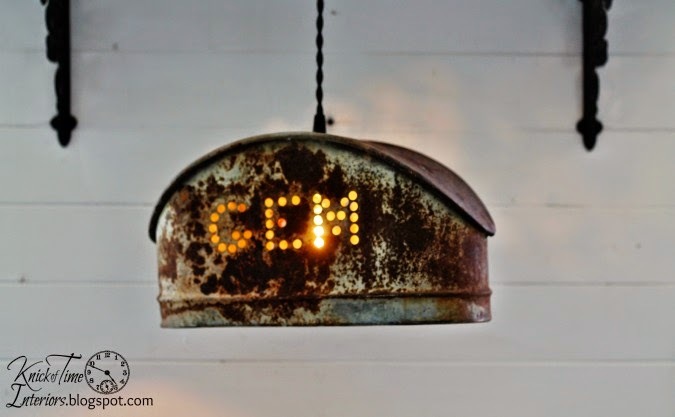 Here you get four fabulous DIY projects from my Upcycling friends, and plenty of inspiration for the weekend. Check out what we have in store for you this week! Dear sofa table, why do I love to create you so? Perhaps it is because there are so many places you can go. I made a smaller, side table version of my scrap wood table. HERE is the tutorial for the sofa table, this was made the same way, just smaller. I can't believe I didn't uncover the top to show all of it. 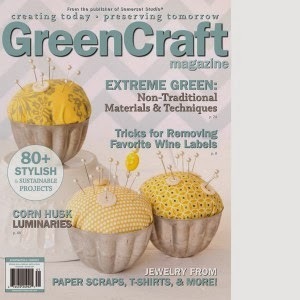 The one end covered by the magazine has two little squares on the end, one is teal and one is a lighter green and then a yellow rectangle running the width of the table. I didn't know what I was building when I hit the garage today, but this is one item I came up with. After I made it, I wasn't sure what it was going to be used for, but then I saw my sad little kitcen herbs (too early for flowers here in Montana) and decided planter.